At first glance, your bedroom may not seem like an important room to illuminate, but the lighting in this room can be very important to your overall mood and productivity. Above all else, your bedroom should be a relaxing sanctuary where you can rest and unwind after a long day at work or with the kids. These days, bedrooms have become multi-functional rooms, which can make creating the perfect atmosphere pretty difficult. Luckily, finding the best lights for your home doesn’t have to be a struggle. In this blog, we’ll look at some tips when it comes to illuminating your bedroom, so you can make an informed decision when it comes time to buy. At M&M Lighting in Houston, we’re proud to offer some of the best lighting solutions to residents throughout Texas. Whether you’re shopping for decorative lamps for your family room or you’re looking for the perfect landscape lights for your backyard, we’re confident you’ll find what you’re looking for in our lighting showroom. Check out our catalog online or contact us today with any questions or concerns! Before you choose just any old lamp or sconce for your bedroom, take the time to think about the type of lighting you want to install. Bedside lighting is one of the first things you should consider, so you can easily read books and magazines before hitting the hay. You could choose a decorative table or bedside lamp to display on your nightstand for proper illumination, or you could also consider installing sconces on both sides of the bed. A swing arm light may also be a great solution for you if you’re looking for a functional and adjustable way to control the light near your bedside. If your bedroom walls have been painted a dark color, such as dark blue or burgundy, your space may feel smaller than it actually is. 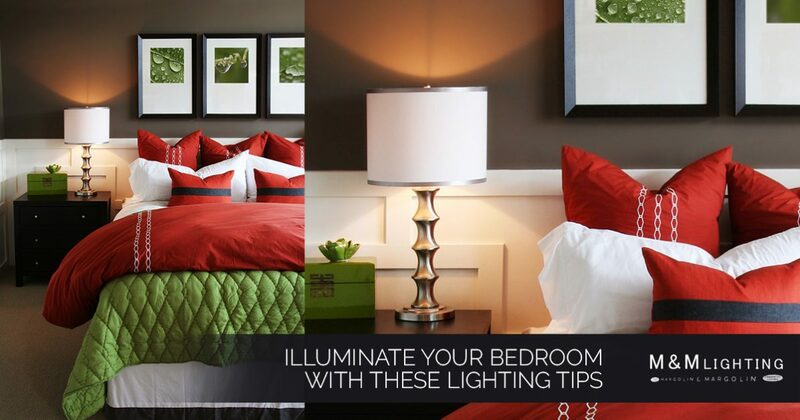 Luckily, there are various lighting options available that can help make your bedroom feel larger. Track lighting, for example, is an excellent way to soften wall colors, while providing ambient and task lighting. Before you purchase a new nightstand lamp or pendant light, take the time to decide where you want to install your new lights. Make sure there are accessible outlets nearby in order to avoid unsightly extension cords. 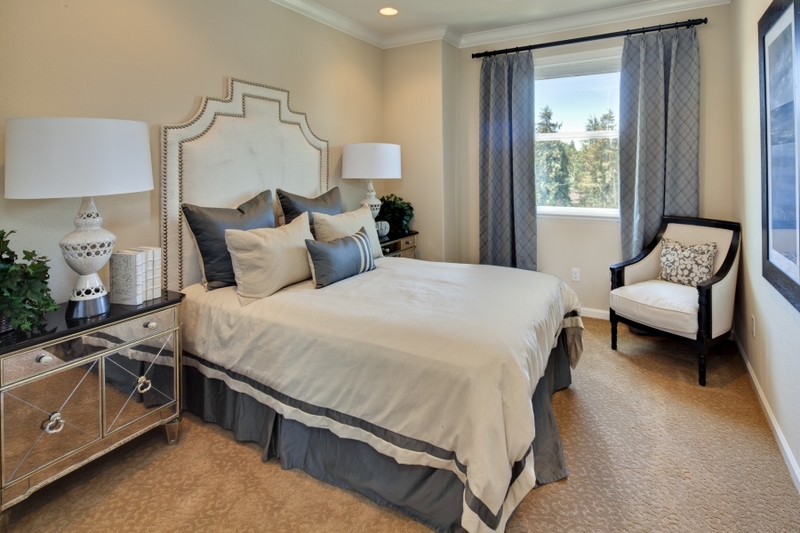 If you’re looking for a tall lamp to display in the corner of your bedroom, take the time to measure the space. Do you need a lamp with a narrow base? Will the lamp be too intrusive if you add a large and decorative lamp shade? Answering these kinds of questions will make your shopping trip even easier! At M&M Lighting in Houston, we’re proud to offer an array of lighting options for your home. Whether you’re shopping for pendants, chandeliers or lamps, you’ll find everything you need in our lighting showroom!